Anders Lindahl MD, Ph.D. was appointed Professor in 2000 at the Institute of Biomedicine at The Sahlgrenska Academy at University of Gothenburg. He is the Laboratory Director of the Clinical Chemistry Laboratory of Sahlgrenska University Hospital since 2005 and he is the medical director of the cell transplantation unit and leading a research group focused on cartilage repair and chondrocyte differentiation. 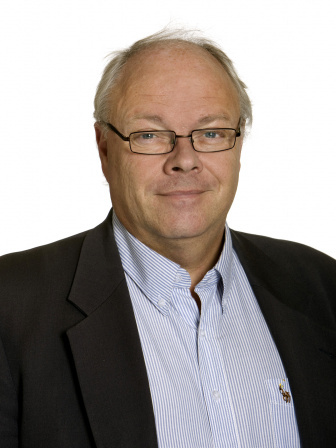 Anders Lindahl graduated at the Medical Faculty of the University of Gothenburg in 1979, completed his internship in 1982 and received his Board certificate in clinical chemistry in 1992. He received his Ph.D. degree in 1986 . He was a research fellow in the laboratory of Dr Howard Green at the Department of Cell Biology, Harvard Medical School, Boston, MA US 1987-1988 with a work focused on gene therapy. His research on human chondrocytes commenced in 1985 and he and Professor Lars Peterson and Associate Professor Mats Brittberg performed the pioneering work introducing autologous chondrocyte transplantation (ACT) for the treatment of cartilage defects in the knee. The article in New England Journal of Medicine (331:889-895, 1994) was by Harvard Health Letter nominated as one of the ten most important scientific papers that year and is one of the 10 most cited papers in cartilage research worldwide. He has written over 100 articles in the field of chondrocyte research and has been main supervisor for 8 graduated PhD students and co-supervisor for 4 graduated PhD students. He is currently supervising 4 PhD students in training. Professor Lindahl and collaborators have treated over 1500 patients with ACT and the technology is spread worldwide with over 30000 treated patients.